The teachings of the Native Americans provide a connection with the land, the environment, and the simple beauties of life. This collection of writings from revered Native Americans offers timeless, meaningful lessons on living and learning. 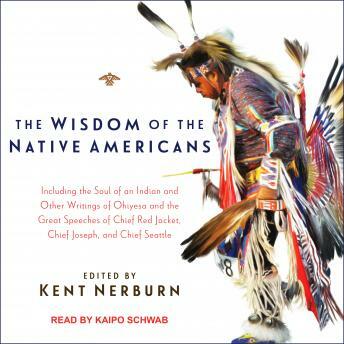 Taken from writings, orations, and recorded observations of life, this book selects the best of Native American wisdom and distills it to its essence in short, digestible quotes-perhaps even more timely now than when they were first written. In addition to the short passages, this edition includes the complete Soul of an Indian, as well as other writings by Ohiyesa (Charles Alexander Eastman), one of the great interpreters of American Indian thought, and three great speeches by Chiefs Joseph, Seattle, and Red Jacket.